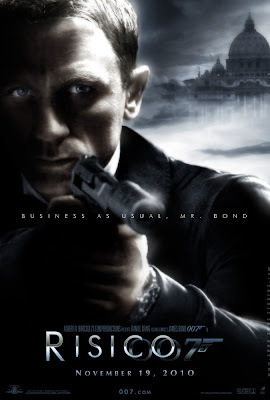 The Establishing Shot: Freida Pinto in Bond 23? Freida Pinto in Bond 23? Earlier today The Mirror ran an article confirming that Slumdog Millionaire star Freida Pinto will be a Bond girl. There has been speculation over the last week on Pinto starring in the next Bond film and it seems that they are the first to confirm this. Bear in mind no official statment has been made as yet. Olivia Wilde (House, Tron@ Legacy) is being sought to play "a double-crossing UN worker". A location for Bond 23 will be Afghanistan. We already know that Sam Mendes will direct the Peter Morgan, Neal Purvis, Robert Wade screenplay.